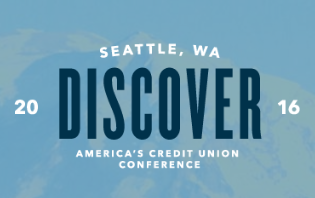 In June, we joined credit union industry leaders in Seattle for CUNA's 2016 America's Credit Union Conference (ACUC). The speakers, sessions, insights and people were great. And, as we look back on the annual event, we also want to share a few industry insights of our own - from a few people who presented breakout sessions on behalf of our company and the industry. Jay Isaacson talked about the latest cybersecurity issues credit unions are facing. ACUC Interviews: CUNA Mutual Group's Jay Isaacson Talks Latest CU Cybersecurity Issues... from CUbroadcast on Vimeo. Gary Weave shared insights on wealth management for middle-income Americans. ACUC Interviews: CUNA Mutual Group's Gary Weuve Talks Mid-Market Wealth Management Offerings... from CUbroadcast on Vimeo. Robert Jarosinski talked about the latest payment technology and fraud trends. ACUC Interviews: CUNA Mutual Group's Robert Jarosinski Addresses Emerging Technologies and Alarming Fraud Trends... from CUbroadcast on Vimeo. Natalie Crain shared insights on Millennials. ACUC Interviews: CUNA Mutual Group's Natalie Crain Reveals Clues to Unsolved Mysteries of Millennials... from CUbroadcast on Vimeo. Karim Habib framed lending loyalty strategies and opportunities. ACUC Interviews: CUNA Mutual Group's Karim Habib Shares Strategies Behind Loyal Lending... from CUbroadcast on Vimeo. Marty Polimus talked about avoiding data breaches with "human firewalls." ACUC Interviews: CUNA Mutual Group's Marty Polimus on How to Avoid Your Worst Data Breach Nightmare... from CUbroadcast on Vimeo. ACUC Interviews: CUNA Mutual Group's Steven Rick Provides Highs and Lows of U.S. Economy... from CUbroadcast on Vimeo. ... and six signs you're being disrupted. ACUC Interviews: CUNA Mutual Group's Steven Rick Shares 6 Ways CUs Can Be the Disruptors... from CUbroadcast on Vimeo. Will we see you next year in Las Vegas for ACUC 2017?